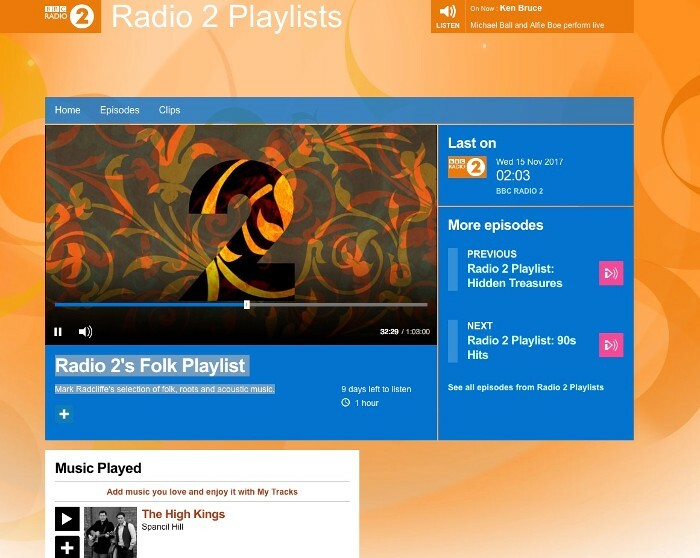 The High Kings 'Spancil Hill' is track 1 on the latest BBC Radio 2 Folk Playlist, a great set of folk, roots and acoustic music as selected by the venerable Mark Radcliffe. Mark has been a long time supporter of THK and even took time to introduce the track and talk a a little about the band before playing the tune. Massive thank you goes out to Mark and you can find the playlist here; its available to listen for another 9 days. We'd advise listening all the way, the rest of the playlist is excellent also, enjoy. Spancil Hill features on the new album 'Decade'which you can order here.